Heather McCalla got into ceramics simply to make some extra cash, but you could say that things have escalated since then. She was actually studying furniture design and woodworking at the University of Wisconsin, and an elective mold-making class she took ended up sparking an idea within her years later — when McCalla was a Fountainhead Fellow at Virginia Commonwealth University. As a fellow, she was given an empty studio, but she didn't have any woodworking equipment to use in the space. 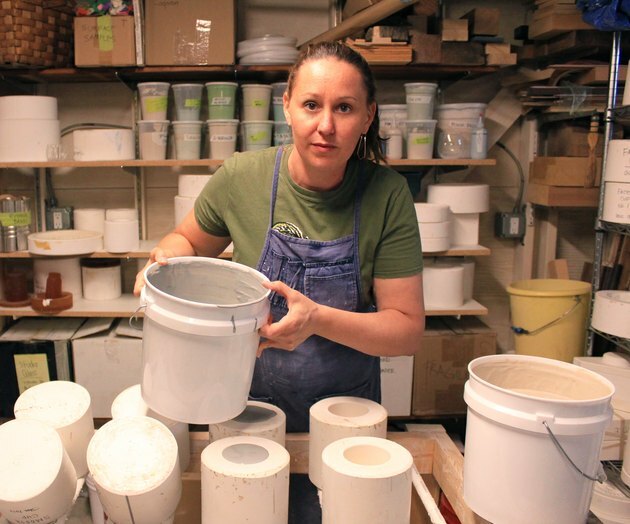 So, instead, she took up slip casting (a process of forming ceramic ware by pouring slip, which is a mixture of clay and water, into molds usually made of plaster), creating functional cups and bowls as a way to supplement her adjunct woodworking teacher salary. 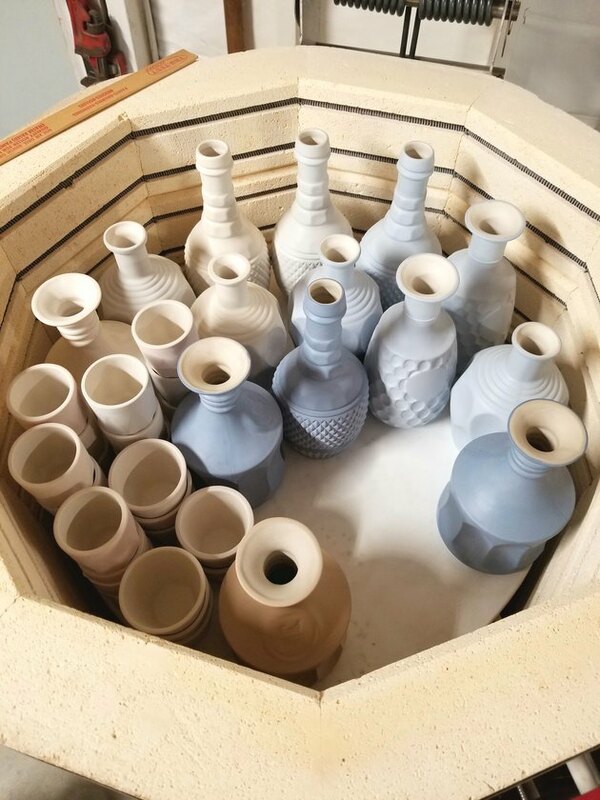 In 2015, she gave a name to the venture, calling it Tiny Badger Ceramics. Tiny Badger? Well, the University of Wisconsin's mascot is a badger — and that's where McCalla spent some of the most fun and formative years of her life. "For the first two years, Tiny Badger was my side hustle," McCalla told Hunker. "I was still teaching adjunct, but I was starting to realize more and more that I wanted to be focusing on building the business." So in July 2017, McCalla decided to move back to her hometown of San Diego to take on Tiny Badger full-time — and to take over the caregiving responsibilities for her sister, who has Down syndrome. "While being a caregiver to someone with special needs is no small task, having a home studio allows me to work on Tiny Badger full-time while still being around to support my sister and her needs," McCalla said. "There are parts of me that still miss teaching, but it has been amazing to be my own boss and wake up each day to build my business and do what I love in my studio." 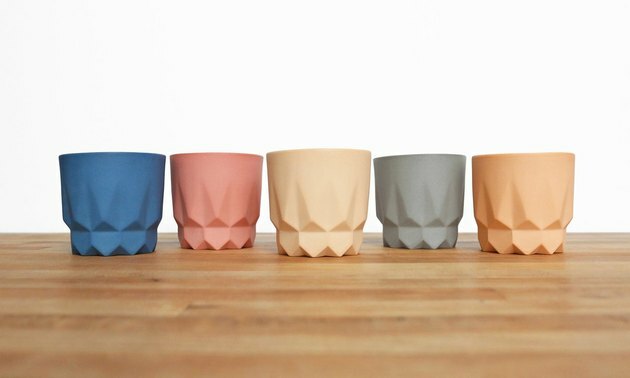 Tiny Badger offers cups, bowls, vases, and planters, both online and in boutiques across the nation. They're all food-, dishwasher-, and microwave-safe. 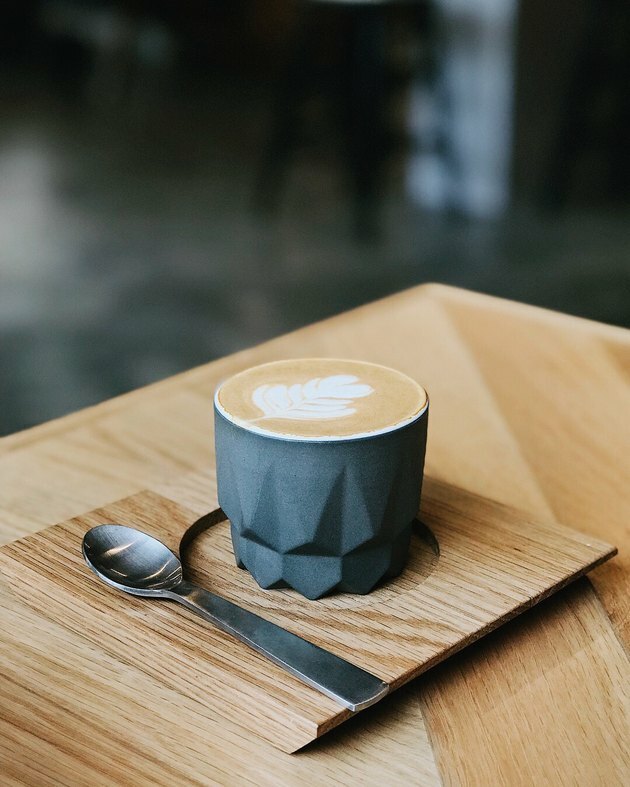 Prices are mid-range — you can snag an espresso cup for $18 or a planter for $25, for example. McCalla's ceramics are unique because they're modeled after her collection of vintage glassware — treasures she found at thrift stores, estate sales, and antique malls while living in the Midwest. 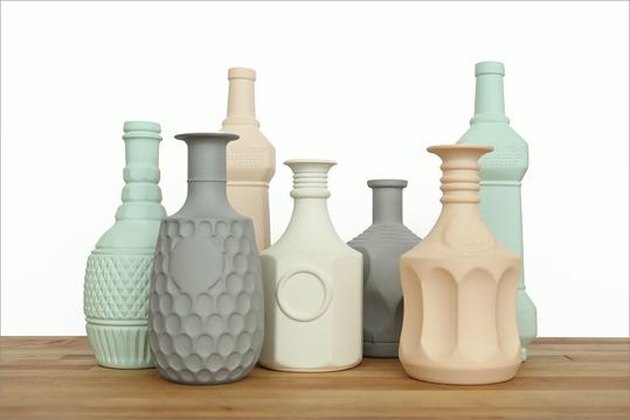 She has a collection of old whiskey decanters, for example, which inspired her Decanter Vase series ( all retailing for $65 ). We recently noted that Depression glass, which is transparent glassware manufactured in the U.S. from the early to mid-1920s, is making a comeback. It's typically textured and colored, in shades like green, pink, and amber. 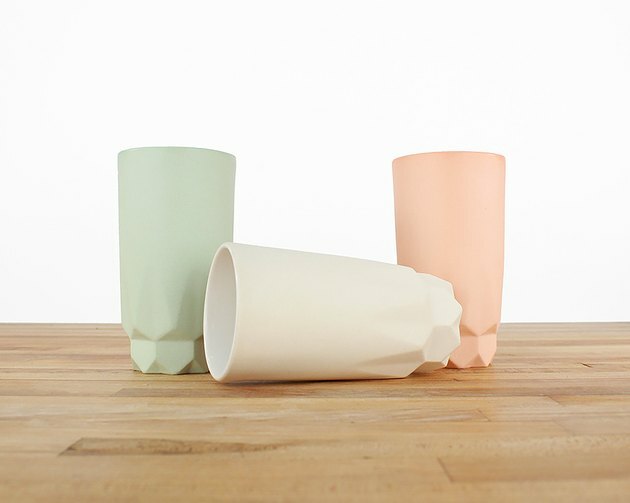 McCalla's ceramics seem to correspond with this trend, which may be why we're so drawn to them. "Rendering [vintage glassware] in an opaque material, and a bright color palette, allows them to take on an entirely new aesthetic — one that is clean and modern," McCalla said. "At the same time, they retain their familiarity, and inspire the warm associations that we often have with the past." And speaking of — you may wonder how McCalla settled on Tiny Badger's pastel and neutral color palette. "I wanted colors that were bright and fun, but still soft and approachable, so I went with my gut and what I felt drawn to," McCalla said. "Thus far, all the colors have been pretty well-received." McCalla is running a one-woman show — apart from her paid intern — and really, that's how she likes it. 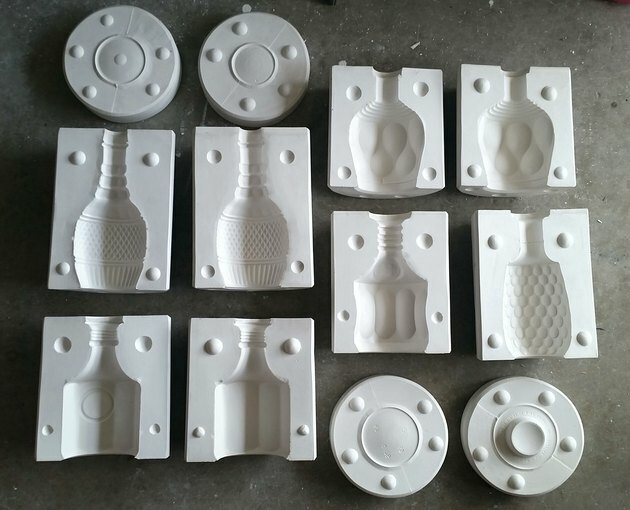 She is in charge of making molds, casting, firing, glazing, bookkeeping, photography, web design, social media, customer service, and more. Phew, that's a lot of hats. "I'm not particularly interested in moving into a larger space that would help increase my production," she said. "One of the really great things about how I've set up my business and my studio is that I am able to be at home with my sister full-time, which is invaluable to me." But when it comes to the future, McCalla is open to at least a little bit of growth — which involves hiring someone to help handle her never-ending administrative tasks. That's next on the to-do list. "My primary hope for the future of Tiny Badger is that I'm able to find the time and creativity to continually offer new designs and products to my customers," McCalla said.